Update: Greg is in Toledo C.I.! Greg called from Toledo C.I., and he sounded excited about being there, being on a real yard, with geese (yes the geese have landed there), and going to a chow hall to eat together with other people. He also was excited that he was no longer accompanied by guards whenever he leaves his single cell, and that he can use the phone more or less when he wants to during the day. There is so much he has missed for the last 25 years that he was entombed in the Ohio supermax that is called Ohio State Penitentiary. 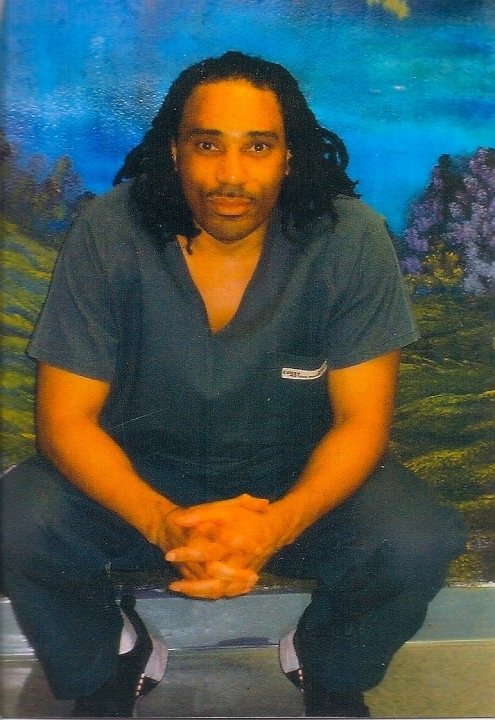 Greg also had a message for all the supporters, thanking everyone for getting him transferred, and that he hoped that even though he no longer was in OSP, he hoped peopel would not forget about his plight to regain his freedom, his release after being falsely accused and wrongfully convicted since 1993. So please, stick with Greg Curry! Thank you all! Even though Toledo C.I. has the same level 4 as what Greg was qualified for as security level, there are differences between Ohio State Penitentiary level 4 (max.) and other maximum prisons in Ohio. For instance, at OSP Greg can only go in an outside cage for “yard.” He can only have visits behind glass, whereas in other maximum prisons there is apparently normal visiting. He can go to a chow hall to eat together with others, and at OSP he could only eat alone in his cell. You can also write him via Jpay dot com. The Jpay email system gives his location as being at Toledo C.I. We really hope that this is the chance for Greg to march on to justice, with all of our support of course. Let’s do this! Posted in 2018 and tagged Greg Curry, Greg's transfer, Ohio, Ohio State Penitentiary, Toledo C.I. on October 24, 2018 by Justice for Lucasville Prisoners. Greg Curry speaks on having to stay in Ohio State Penitentiary for at least 1 1/2 years more, because he was tricked into believing he was going to transfer, and the importance of fundraising for his release as an innocently convicted person. In April of 2018 it will be 25 years ago that a disturbance or riot, caused by inhumane, extremely strict dictatorial management at the Lucasville prison in Ohio led to the murder of 10 people, and the construction of the supermaximum security prison in Youngstown. Those convicted were not the actual perpetrators or murderers, but people who refused to snitch for a deal with the prosecutors or investigators, and some of them had been negotiators between the factions that were united during the riot. Greg was not involved with any gang, and the causes of the uprising were not his focus, instead, he had been concentrating on his release that was not far away. And yet, he was indicted because he did not want to make a deal about something he had no responsibility in. During the trial, snitch testimony was used to get him convicted. 25 years later, Greg and others who did not murder or hurt anyone, are still in prison with life sentences or the death penalty. This is injustice! Ohio must step up its conscience and stop this wrongful incarceration now! Recorded on March 2nd, 2018. Posted in Greg Curry, Uncategorized and tagged Greg Curry, Greg Curry's fundraiser, Greg's transfer, injustice, Lucasville prison uprising, Ohio on March 6, 2018 by justice4gregcurry. Greg recently sent us a video, recorded via Jpay, in which he announces our upcoming Fundraiser for his case of innocence. It is high time we found a dedicated lawyer, whom we have to pay, who is willing to fight for Greg, in order to overturn the wrongful conviction in the courts. The Lucasville prison riot (or uprising or disturbance) of 1993 resulted not only in the death of prisoners and staff, but also in false arrests, indictions, and the use by the prosecution of state snitches, used to convict 5 people to death (the spokespeople who tried to intervene, not the actual people who did the killings!!) and at least 4 received a life sentence. One of them is Greg Curry, who at the time was not involved with any of the riots, but a snitch was instructed to get a conviction on Greg. It is high time that these false convictions are overturned!! Let’s do it. Hello there everyone, this is my website that has supported me over the years. It looks like this time is coming to an end: I’ll be transferred to a different prison. So I just want to say thank you all for your support, and I’m gonna need yoru continued support as we build this legal defense fund, and the details of that is coming soon. Thank you. Solidarity with all of you struggling for freedom and justice. Posted in 2017, Greg Curry and tagged convicted on snitch testimony, Greg Curry, Greg Curry's fundraiser, Greg's transfer, innocence, life sentence, Lucasville prison uprising, Ohio, wrongful convictions on December 3, 2017 by Justice for Lucasville Prisoners.